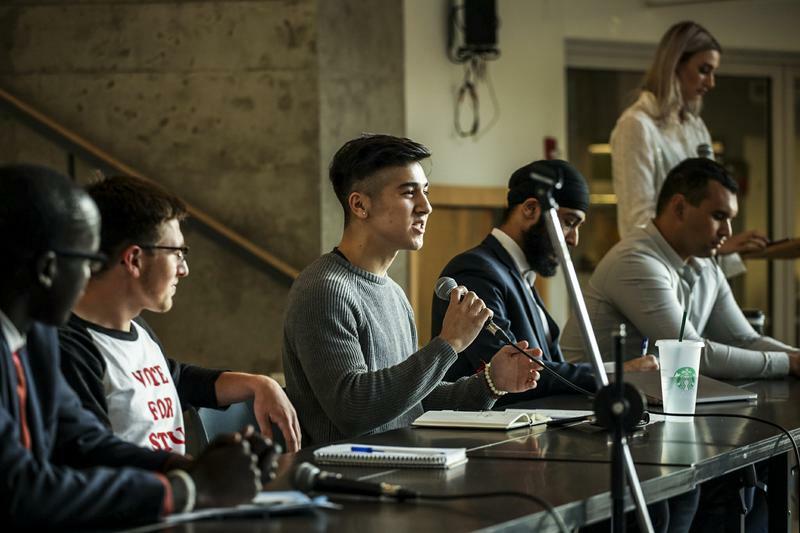 This election UBC students preferred familiar faces over taking a chance on someone new — at least, those who voted at all. In a race where 8,452 students ranked candidates, recently-elected AMS President and former Vice President Administration Chris Hakim won by a considerable margin in a crowded field, according to data from the AMS Elections Committee. Former Vice President Finance Kuol Akuechbany followed Hakim as the second most preferred candidate. Votes in AMS elections are counted using the Condorcet method, which matches candidates in head-to-head matches to determine who was most favoured by voters. For example, data revealed that 5,342 voters placed Hakim above candidate Stuart Clarke when ranking their choices for President. Hakim won every one-on-one matchup, giving him four majorities. That means that more voters than not placed him above every other candidate in the race. Akuechbany earned three majorities, the second-most of the group. Spencer Latu earned two, Stuart Clarke earned one, and Jas Kullar failed to earn any majorities. But against Hakim, the race wasn’t even close. From looking at the data that determined Hakim’s majorities, it appears that Hakim’s closest competitor was Spencer Latu, who had 2,870 voters place him above Hakim in comparison to the 4,512 voters who placed Hakim above Latu. It was the closest of Hakim’s matchups, but still two thousand voters away from carrying a win. However, Akuechbany actually won more majorities than Latu. That’s a result of the Akuechbany-Latu matchup, where Akuechbany was able to squeak by a win with seven voters who ranked him above Latu. Based on this data, voters seemed to prefer establishment candidates such as Hakim and Akuechbany over newcomers — if only by a little. Latu’s extensive support likely came from the plethora of clubs who endorsed him, but it still wasn’t enough to beat the name recognition and incumbent advantage that both Hakim and Akuechbany possessed. The final two candidates trailed significantly behind the top three. However, when paired up in a one-on-one race, Clarke barely gained the majority over Kullar with 2,934 votes to Kullar’s 2,820.